In the end, when It came time for me to do my stretches, he decided to make himself a “sleigh” out of my exercise mat and said he was going to slide down the hill with it 😂. I am starting another round of the same program again on Monday morning (Nov 12) if you wants to challenge yourself to eight weeks of fitness and nutrition with me in a private group? I need to get in the best shape EVER for a cruise I am going on first week of January, and I will bring you along the ride if you are interested! 😁💪🏻💪🏻. Let’s do this!!! Author fitnessgal1969Posted on October 29, 2018 Categories MindsetTags fitness, health, hydration, keep it simple, success, weight lossLeave a comment on Busy Life? Transform health doing just 3 things per day! How many times do we let self-doubt get in the way of us achieving something really important? The lack of faith in ourselves can really get in the way of achieving important things in life… It holds us back from making decisions, creates uncertainty, and makes facing fears and having courage much more difficult. Having self-belief can lead to incredible achievements in health and fitness, marriage, relationships, career, business, making a positive change in the world, and so much more! Belief in yourself creates an unshakeable strength that is more resilient and powerful to allow you achieve anything that you want in life. It will give you power to easily solve problems and find solutions and to live a positive and fulfilled life. Never underestimate the power of having belief in yourself! 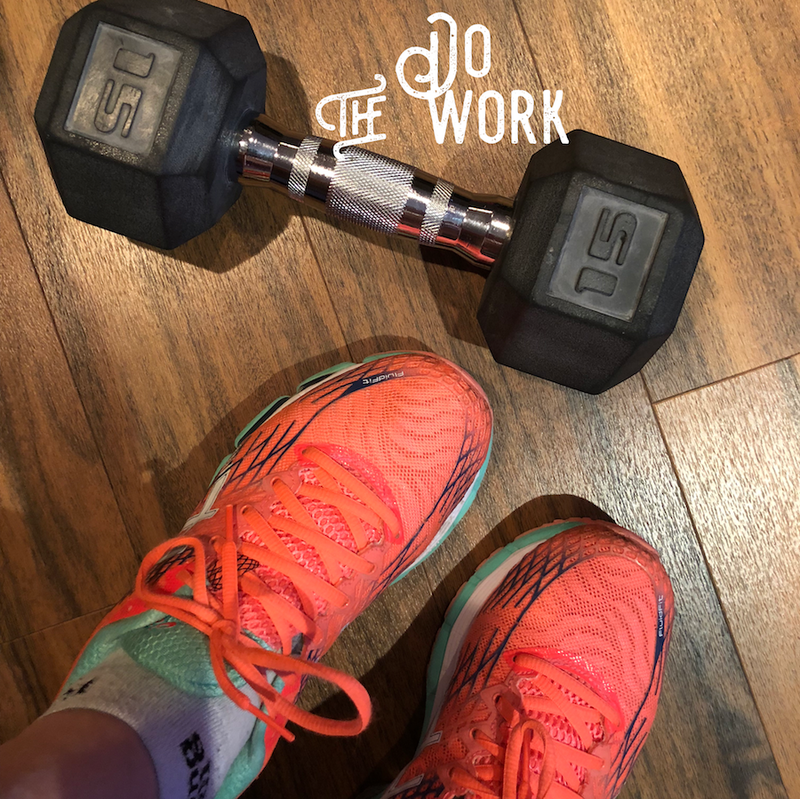 I had a firm belief in myself this morning that I could lift heavier weight to make the most progress with this round of lifting… I just completed day two of week five today sweaty and feeling accomplished after lifting heavy for back and biceps… It’s a great feeling! To contact me with questions, or if you are interested in having a coach, click here! 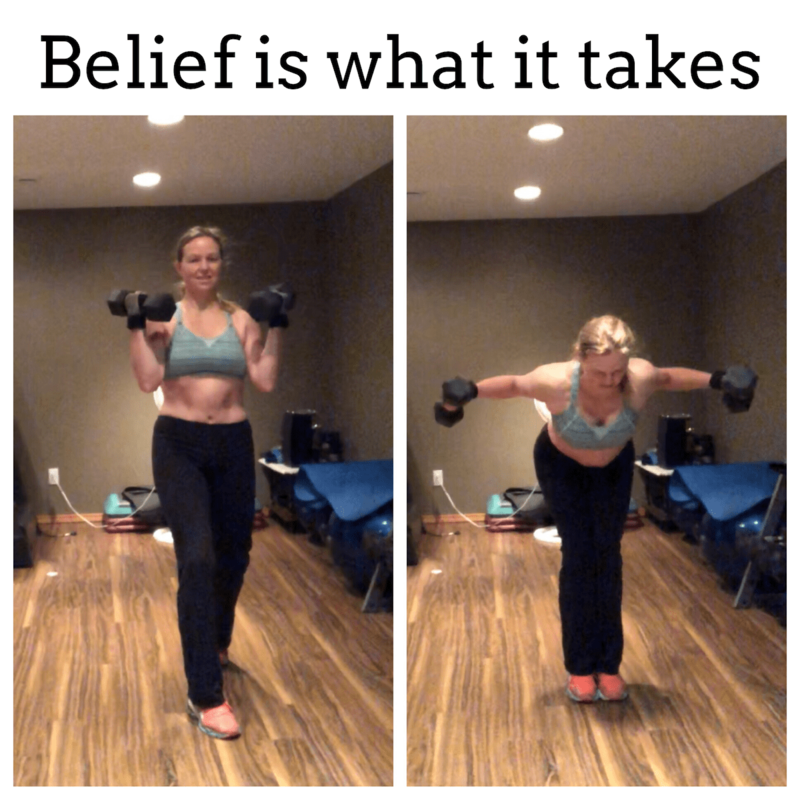 Author fitnessgal1969Posted on October 9, 2018 Categories Goals, MindsetTags accomplish, belief, fitness, grandma, health, muscles, success, weight lossLeave a comment on Belief in Yourself is Everything! 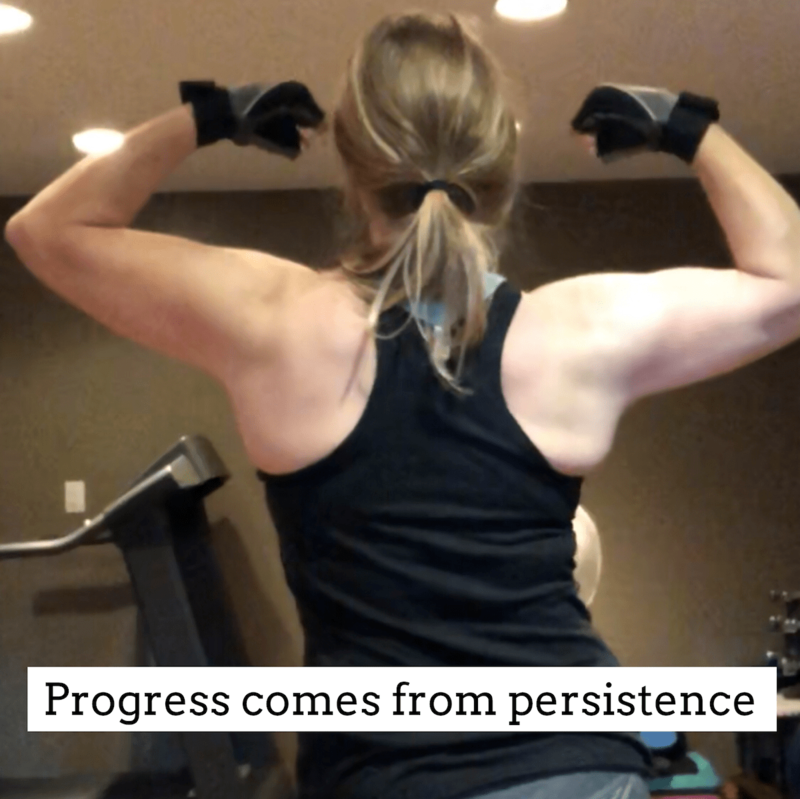 Persistence certainly pays off and when it comes to health…it’s worth the work! 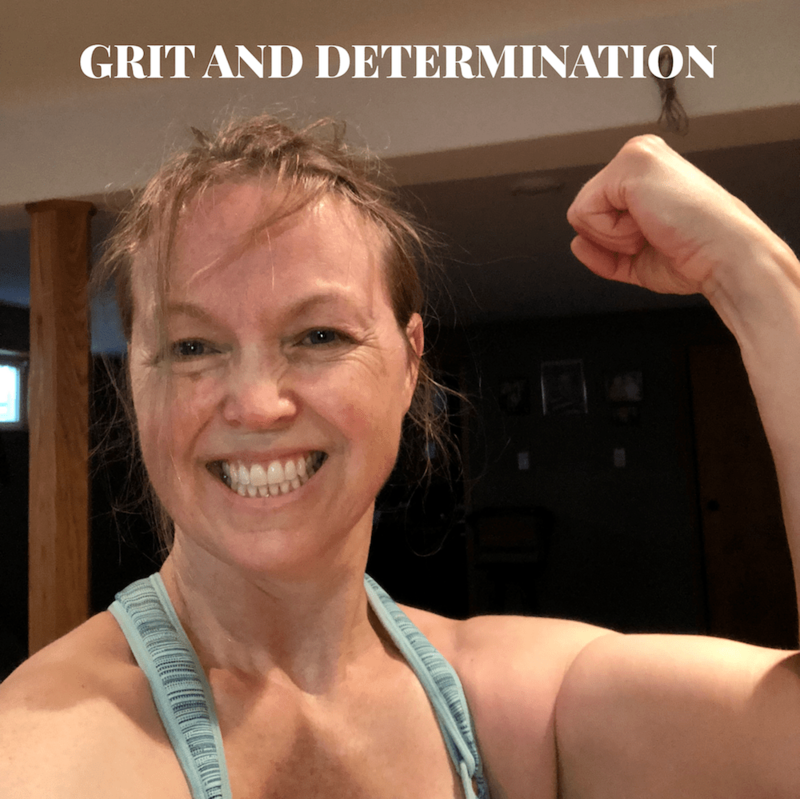 My goal is to be an active and healthy Granny for my grandkids and not get prematurely old and out of shape…my reasons to be healthy are what pull me along even on the most challenging and tired days! Let’s GO! Its time to work on your health, lose excess weight and get stronger!! The time is NOW! To get started, CONTACT ME now! Working on your health some days is really hard… and it takes constant work and attention. But remember that feeling tired, miserable, overweight, and just generally depressed is also very hard (I used to be there and I would rather take this hard!!). … I say… Pick your hard and decide what’s worth it for you. For the long term, I’d rather put in the work and be healthy and have good energy and feel positive and motivated for each day. How about you? What “hard” are you going to choose? CONTACT ME if you would like to have a coach help you to achieve your health goals! Maintaining lean body mass is an important way to maintain a healthy body composition and minimize natural aging! As we age, we typically lose lean body mass and gain fat mass… It’s a natural change that occurs with our body composition. However, we can fight this by working on maintaining our lean body mass through lifting and burning fat through exercise… When our body composition is more balanced, we naturally have a stronger and more balanced signalling systems in our body which naturally keeps up our energy and our hormone balance as well. 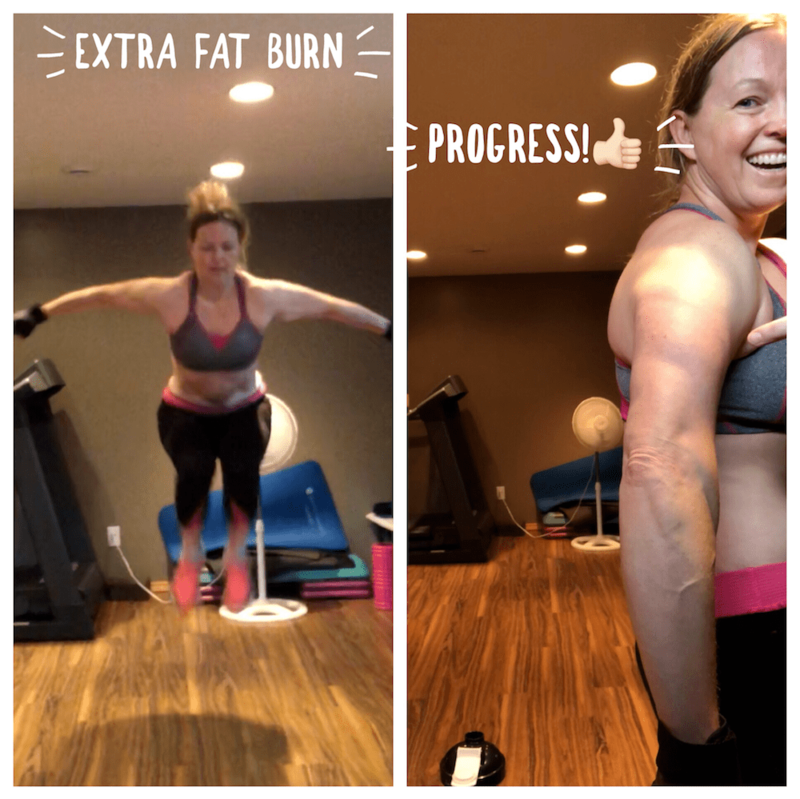 The moment you sit by and allow the natural body composition change to occur, you will see fat build up around the middle, and muscle mass on limbs and body start to decline… Do not let this happen if you can help it! Fighting this will keep you younger longer, keep you well, and keep up your energy… If you’re like me… as a grandma, I want to be able to keep up to my three-year-old grandson and I do not want to be sitting in a chair, being tired, lazy, and weak, because my body has aged too much…no thanks! We can fight this natural aging process and it just takes a bit of work a few times a week to build muscle mass, to reduce fat and to re-balance of hormones and then look and feel much younger as a result! Incorporating clean/whole food eating lifestyle, adding superfoods and eliminating pop and junk/processed food will get you there even faster! Without your health, what do you really have? We all want energy and a sense of well-being and we know how much it changes our life when we feel good!!. Get started now and make a change for the better! Improve the quality of your life, change your body composition, balance those hormones, and build some muscles! It’s not that hard, and it only takes work a few days a week to get it done! Getting yourself a nutrition and fitness coach can also make all the difference… And I definitely recommend it as it made such a big difference for me. It made such a difference in fact… that I decided to become a coach myself and I even took special training on strategic intervention so that I could be the most effective coach possible for you. if you have been looking for a completely new approach a new way to get into good shape… Perhaps it’s time to message me and to get onto a program with the support of coach. Don’t delay..there is no time like NOW to get going and get those hormones and muscles in check! 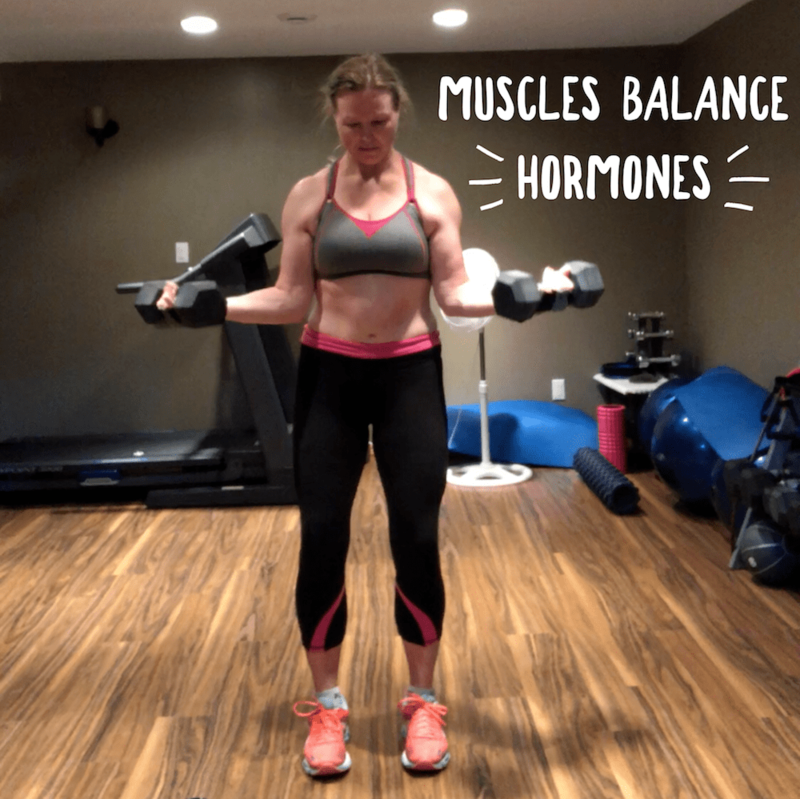 It took absolutely everything I had to get out of bed this morning… After the last two days of the new HIIT and lift program, my shoulders, arms, chest, and especially triceps are super sore and I just feel so tired out. 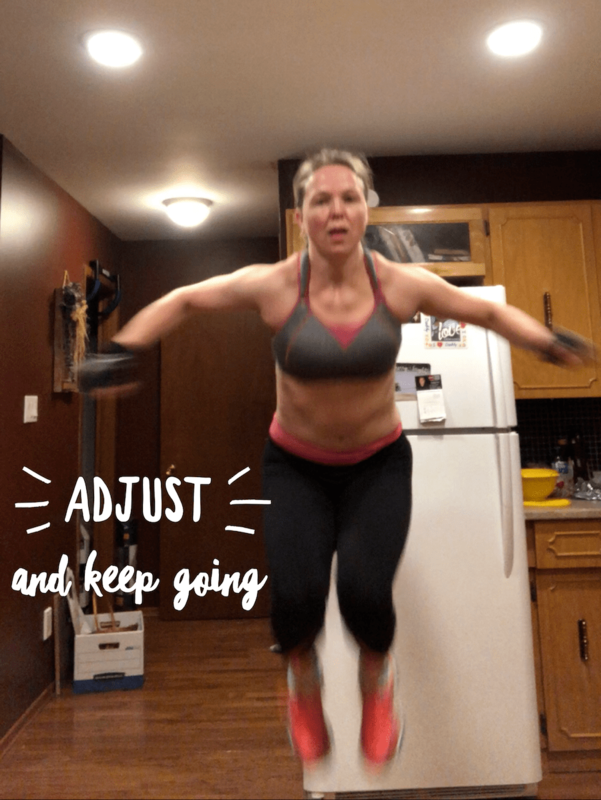 Before just giving up, I got up and had some energize and some exogenous ketones to fire me up… I waited 15 minutes and then could feel (sort of) enough zip and energy to get myself downstairs to hit play. To download tips for how to gain self discipline, click HERE! To apply to work with me as a coach, click HERE! 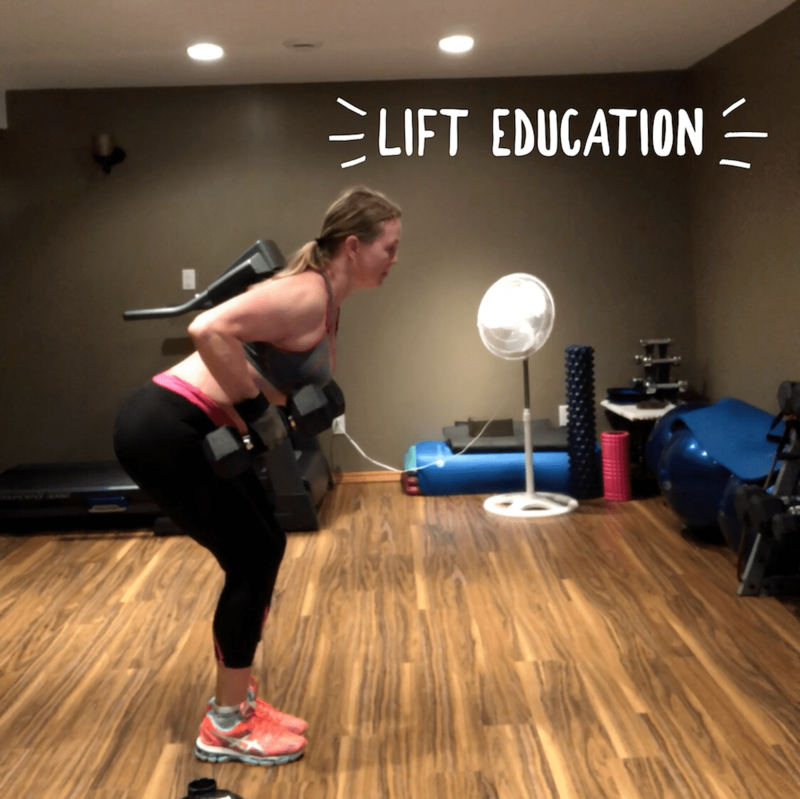 Training week to strengthen and perfect form and build cardio…. perfect program for us busy folks! The countdown is on to our upcoming 8-week fitness and nutrition challenge… 6 more days until we start! It’s the perfect program that is great for people who do not have much time, who are busy professionals and often have a hard time fitting workouts and nutrition in to their busy lives (like me!). This workout incorporates muscle building, fat burning, and core work all in 4 short workouts per week. There really is no excuse not to get into the best shape of your life by using a program such as this. Nutrition plan is very easy to follow.… And if you have a coach, it makes it even better… I know this from experience! Just a little extra support accountability makes all the difference to help a person stay on track! The other thing that makes a difference is working on personal development at the same time. A large part of our success is working on mindset, thinking positive, being happy now, and feeling good about yourself. Part of this will be to work on mindset, which will create success even beyond the 8-week challenge! Our pre-program training segment is underway and we are all learning proper form and getting our muscles and heart ready for for the real thing starting July 16! Just this little bit of physical training and mental preparation will make all the difference and build up the momentum to drive us successfully through the 8-week challenge! If you want to have a piece of this and get connected with a coach to keep you on point and accountable, let me know! I am at the point where I can only accept 1 or 2 more clients for this program so don’t miss out! Tough to get going today after 2 14 hour days at work the last 2 days. Exercise is a game changer though! Barely moving this morning after two very long and busy work days and very little sleep… Upon awakening, I felt heavy, cloudy in the head, and weighed-down today and kind of stiff and sore all over. So, why push myself like this? When you’re super busy and yet want to be healthy, it’s so important to find some type of a program that you can incorporate into your busy life… Because… our Health is critical for everything! If we don’t have our health, how can we accomplish things? If we don’t have our health, how will we have motivation to focus on anything else in life such as work, family, kids or other things? When our health is not good, we are focused only on that and ourself (for obvious reasons) and life comes to a grinding halt in so many ways! So, whats the answer here? 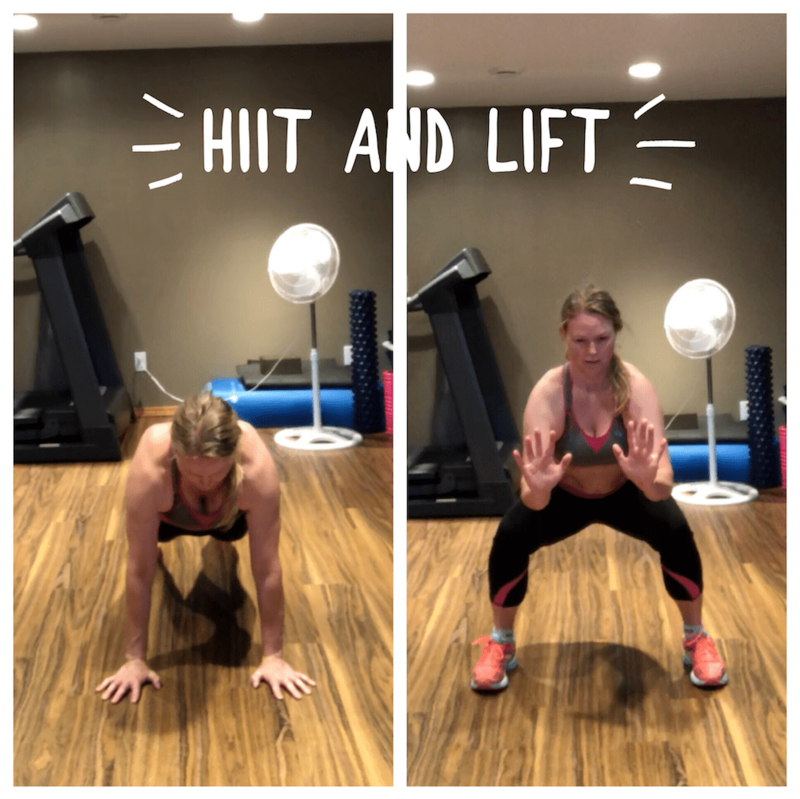 This HIIT and lift program incorporates muscle building, fat burning, and core exercises plus has a very simple nutrition plan to follow. If this is something that I can incorporate working 12 to 14 hour days, then I think most people could find a way! (And I don’t like to cook either!) There are only 4 workouts per week that are 30-40 min. There are no excuses not to fit that in! If you are looking for a very simple program to boost your health, lose weight, get into the best shape of your life, and something that can be incorporated into a very busy lifestyle… Then you need to consider this program and a coach to help you through it! To be personally coached by me through this 8-week program, you may apply for my services (serious applicants only)… Or, if you just want more information feel free to message me. Thankfully, last night I printed all the papers and lab requisitions that I need for my many house calls today! So I’m good and prepared for my workday despite my morning challenges! !